Happy first day of Spring! To celebrate, I’m hosting another pastel party today. 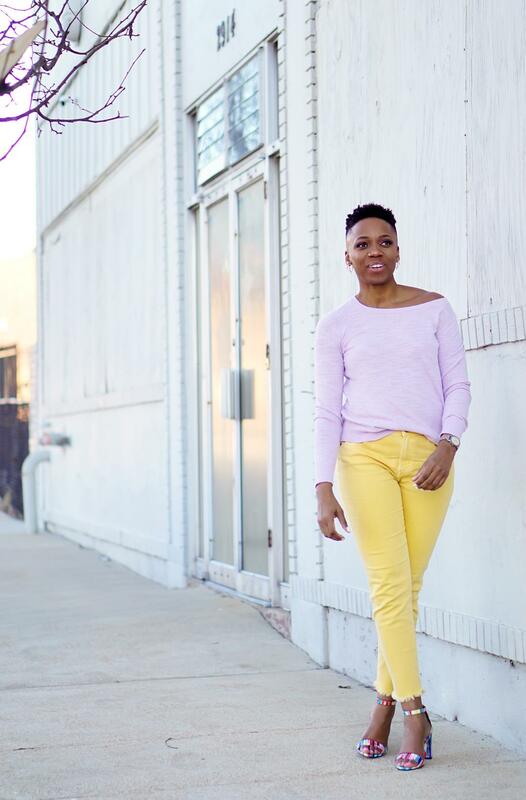 Colored jeans are a cool way to shake up your wardrobe for spring. 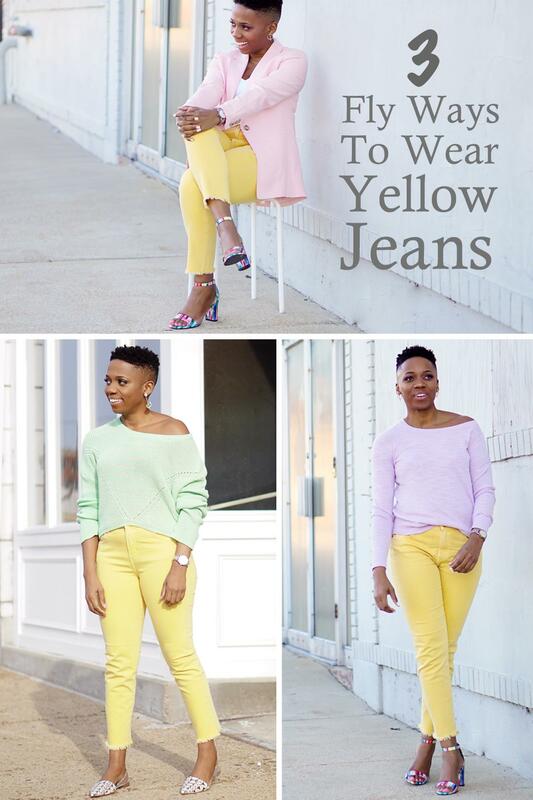 And, to demonstrate just how versatile they can be, I’m styling one pair of soft yellow jeans 3 different ways. 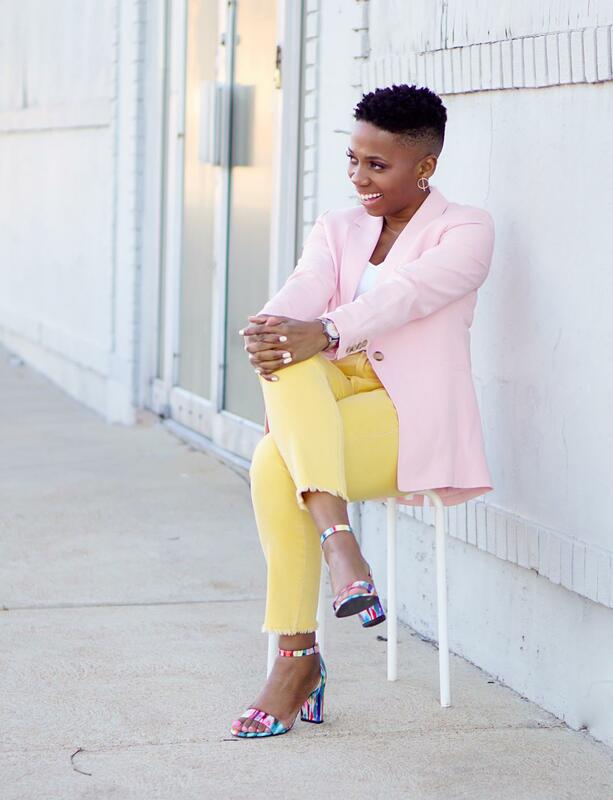 I hope these outfits inspire you to grab some colored jeans and to rock them loudly.